Successfully preparing such cosmetic systems, including lumpfree pastes and creamy lotions, is more of an art rather than a science. Cosmetic componders and Cosmetic and Personal Care technoloigsts, wether at the lab bench or involved in scale up and full scale manufacturing, guard their technology as as a highly valuable secret, because in Cosmetics R&D, it may take investigations virtually thousands of combinations and variations of ingredients and process parameters to succeed in preparing stable, high quality concentrates of a useful master batch and it often may even take several years to optimize the resulting recipies. McCutcheon's Emulsifiers & Detergents© catalogs (The Manufacturing Confectioner Publishing Co.) presents an insight into the tremendous knowhow needed to succeed in this field, alone from a surface-chemistry point of view. Literally thousands of surfactants/ emulsifiers are available to both, the highly skilled and advanced, as well as the more junior formulator, seeking to optimize a seemingly endless variety of required parameters. In addition to the optimal ingredients of choice, the cosmetic compounder and emulsion formulator, in conjunction with pilot and full scale manufacturing experts, needs to select the proper mixing equipment for specific scales of operation, to generate the desired properties, such as droplet size, droplet and particle size distributions, rheological behavior, stability at room and elevated temperatures, as well as after freeze thaw tests etc. The resulting choice of equipment will profoundly influence the desired endproperties of the manufactured product. Other contributors to final product quality include freedom of contamination through abrasion from the equipment walls, attained uniformity of composition, viscosity at selected shear rates, color, sensory properties for topical application, desired rheological behavior, such as thixotropy, dilatancy, yield stress, smoothness, tackiness, and of course, stability over time, both during the processing itself as well as following manufacture, the so-called shelf-life. Especially important items for the manufacturer to look out for during the production process, are the contributors to rheological, Newtonian or non- Newtonian behavior and time dependent stability. Yet other areas of great importance to the successful processing of cosmetic emulsions include sequence and timing of ingredient additions, temperatures to be maintained, pH control and most importantly, the volumetric uniformity of adding emulsifiers and other tensides in selected internal and external phases prior or during processing. The extremely high degree of uniformity and homogeneity of the mixture are one of the most important properties to be attained in cosmetic products and result from optimal emulsification and dispersion of all the ingredients in cosmetic processing. Selecting and properly operating the correct processing machinery in the course of manufacturing the product, is of equal importance as that of selecting the proper additives, vehicles, binders and insoluble ingredients. Obtaining a maximum of uniformity and homogeneity is not an easy task, demanding from the manufacturers a fair knowledge of the principles of rheology, tribology and fluid dynamics. One of the difficulties in obtaining the above described rheologic and dispersive product qualities, is the little known existence of a fluid dynamic barrier to efforts of comminuting droplets and particle agglomerates below the size of approximately 10 to 30 µm, defined in the literature as the "smallest Kolmogoroff eddy diameter". This fluid dynamics phenomenon was first described by the Russian scientist Andrei Kolmogoroff (Kolmogorov, Andrey Nikolaevich) in "Dissipation of Energy in the Locally Isotropic Turbulence" (Proceedings of the USSR Academy of Sciences 32:16-18). According to Kolmogoroff, eddies in stirred liquids cannot be made smaller than say 15 micrometers in the case of aqueous or alcohol solutions, regardless of shear rate, rotor rpm or horsepower input into the stirring process. This means, on such a small scale, total mixing uniformity cannot be obtained with ordinary commercial equipment. For processing pastes and thick slurries, typical compounding machines for lab scale include kitchen mixers, Hobart bowls and for and larger batches, three-roll mills, two-roll mills, single-screw and twin-screw compounders. Examples are shown in Fig. 1 to 3. The three-roll mill, frequently applied in the preparation of cosmetic formulations, uses the shear force created by three horizontally positioned rolls rotating at opposite directions and different speeds relative to each other to mix, refine, disperse, or homogenize viscous materials fed into the nip of the first two rolls. One of the major problems with three-roll mills is the progressive accumulation of larger particles and hard agglomerates in the space immediately above the nips of the rollers. Such segregation impairs product uniformity and can cause product contamination with small amounts of abraded material from the rollers' surfaces. Conventional mixing in agitators and their propellers, as shown in Fig. 4 and 5, cannot achieve the micro-uniformity required in high quality cosmetic products, when blending liquids of widely different viscosity, disintegrating and solubilizing solids, creating highly uniform and fine emulsions or suspensions, and dispersing active ingredients and rheology modifiers. 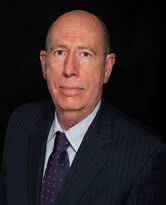 Meyer R. Rosen, President of Interactive Consulting, Inc., serves as an Expert Witness & Consultant. Provides plaintiff/defense services to attorneys and insurance companies regarding technical products liability, personal injury issues, and intellectual property matters.